Cycle8 FilmSpirit: Easily make family videos to special movie trailers. Don't we all love a good Movie Trailer? Now you can turn all your home movies into professional and attractive movie trailers. Choice from any of the 9 premade trailer templates to create a mood. Supports a wide range of video formats that fits for different devices. Choice from a variety of title sequences to introduce your movie and topics. Use Magic Click, the fast and fun way to create a trailer. 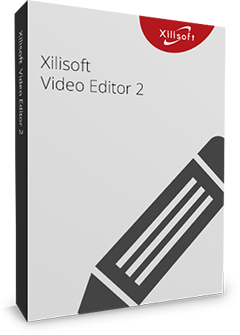 Merge multiple video files into a new one, split one file into several segments, and cut your loved segments in one file. With detailed instruction, templates and settings, you can turn your home videos into a dramatic Hollywood movie or an exciting movie trailer. This is the Easiest Trailer Maker software, anyone can use it. Choice from 9 predate trailer templates like Adventure, Wedding, Pets, Daily Life, Party, Sports, Creative Life, and Travel to customize your movie trailer. 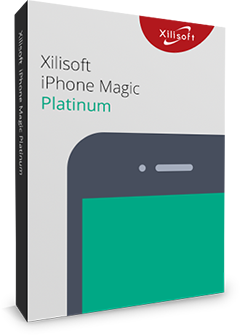 Support a wide range of video formats and any videos for cell phones, camcorders, iPad, iPhone, and any other mobile devices. Let FilmSpirit randomly choose video segments for your trailer. It's a fast and fun way to create a trailer. Make your home videos a fun Hollywood trailer in a few minutes. 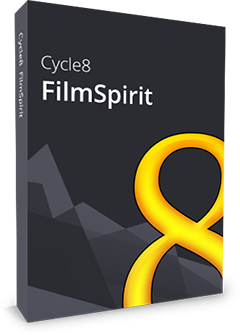 Whether you want to create a Comedy, Drama, Romance, or Adventure, FilmSpirit can finish it as easy as pie. Just click and drag your home videos into the story board, add a title and a few notes, and you'll have a Hollywood made short films! You can preview your original videos as a series of still pictures by adjustable interval which helps you more precisely select scenes and footages. With the FilmSpirit preview window, you can watch your video come to life as you fill in each step of the storyboard. Preview and select the scene you want to appear in your trailer. Save you projects anytime during the creation of your trailer to prevent progress loss. And makes it easier to continue the editing next time. Choice from any of the 9 premade trailer templates like Adventure, Wedding, Pets, Daily Life, Party, Sports, Creative Life, and Travel to create a mood just right for your movie. Support a wide range of video formats to ensure any video will work with our trailer maker. Support videos from cell phones, camcorders, iPad, iPhone, or any other mobile devices. Let FilmSpirit randomly choose video segments for your trailer. It's a fast and fun way to create a trailer, making it a surprise each time. Now, Filmspirit - the fastest way to you can make your own home movie. Choose from 9 movie templates in almost every genre: Adventure, Travel, Wedding, Creative Life Style, Sports, Pets, Party and so on. And suddenly your home video goes Hollywood. Just click your clips to add them into the storyboard. Add personalize the titles. Then Filmspirit works its magic. A short film filled with exciting segments, and the nature's beauty will takes your breath away. Ideal to record your wild adventure or a cross-country trip. A regular day of a person. You can use it to sum up your everyday life or a special occasion. Feel free to add some funny moments as a special ingredient. An explorative story about new places and new experiences. Good for your travel videos. A cute video to introduce and present your beloved pets. An action movie consists of catching the exciting moments of your favorite sports. A romantic love story is a perfect way to capture moments from your wedding, anniversaries, or love life. A detailed descriptive video which is suitable for craft making, personal hobbies, or school projects. Capture the party animal side of you. Collect your favorite party moments. Also great for family events and festival activities. A video full of childishness and playfulness is perfect in maintaining memories of your children growing up.